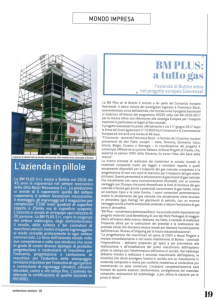 The September-October 2018 edition of Realtà Industriale, a journal of Confindustria Udine (lobby for entrepreneurs in Udine), covered the contribution of BMPlus to the GASVESSEL project. Read the article in Italian on page 19 of the journal. The article is only available in Italian.